As much as we love our feline friends, we don’t like it when they scratch at our furniture. Over time, the wooden legs of our favorite wooden dining room table and chairs, comfortable sofas, couches and banister rails start to look tatty, splintered and worn out. And the culprits are usually not just the kids, but our lovable kitties. It’s natural for cats to scratch because this is how they maintain and shed their old claw sheaths so that their new nails can continue to grow through healthy and strong. Cats who can’t find a surface to scratch and shed their old claw sheaths could end up requiring medical attention some time in the future because if their nails become overgrown to the point where they start to curl under and pierce kitty’s paw pads, this will cause them a lot of unnecessary pain and discomfort. 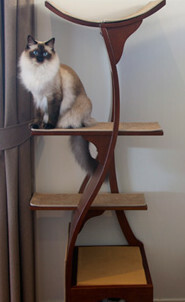 Does Your Cat Prefer A Wooden or Carpeted Cat Tree? As good cat parents, we need to provide a variety of scratching surfaces that are desirable for them, especially if they’re indoor cats. If you know that your cat loves to scratch at your wooden furniture, then the best cat tree for him would a wooden cat tree. If he prefers your soft furnishings, then the best cat tree for him could either be a faux fur cat tree or one that’s covered in carpet. If your kitty isn’t fussy about they type of surface he likes to scratch on, then that gives you more choice. It sounds as if he’ll love whatever cat furniture you put in front of him. The other thing to remember is that cats need to keep in shape by exercising. And a good way to get them to exercise is to provide them with a good sturdy cat climbing tree. Is Your Cat A Horizontal Scratcher or a Vertical Scratcher? In order to help your kitty satisfy his natural urges to scratch, you’ll need to know whether he’s a horizontal scratcher or a vertical scratcher. In other words, does he like to dig his claws into your carpet, which makes him a horizontal scratcher. Or, does he mainly scratch upwards on places like your wooden banister, the back of your couch or your favorite curtains and drapes, then he’s a vertical scratcher? Additionally, in relation to his scratching, does he prefer to claw at your wooden surfaces, like your banisters in which case you may choose to look at cat towers with more wooden surfaces, or does he really enjoy the softness of your carpet or couch?…which could mean that a faux fur or a carpeted cat tree could satisfy him more. You might be ‘lucky’ enough to have a cat who isn’t fussy and just likes to get his claws into any surface, wooden or soft furnishings, which could also mean that any cat tree would be very welcome. Cats scratch for a variety of reasons ranging from looking after the health of their claws to marking their territory. So trying to stop your kitty from scratching your furniture is never going to be an easy task. However, a great way to prevent this unwanted cat behaviour is to provide them with kitty furniture that suits their individual needs. Cats are territorial creatures and should quickly bond with a cat scratching post or any item of cat furniture that you bought for them. You can use catnip to attract them to their new piece of cat furniture, and before you know it, they’ll start using it to scratch on instead of your wooden or soft furnishings. Help Your Cat To Stop Scratching Your Furniture. Sometimes, even with the help of some of the best cat tree reviews that you’ll have come across, it’s not surprising that you’ve now got more questions than answers. 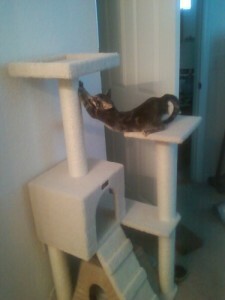 What are the most important factors you want in a cat tree? How many cats do you have? 1…2…3 or more? So are you looking for a cat tree for 3 cats or just the one? Does the color come first or the size? Do you want a tall 7 foot cat tower or a 3 foot cat scratching post? Do you want 1 or 2 cat condos? How about cat beds, would you like them big enough for a small to medium sized cat, or would you like a 16.5″, in diameter, large cat bed for medium to large cats weighing over 23 pounds? Most cat towers are over 5 feet tall, and several that are at least 7 feet high and they are all capable of fulfilling your kitty’s desires. There are probably more faux fur or carpeted cat trees on the market right now compared to wooden ones. 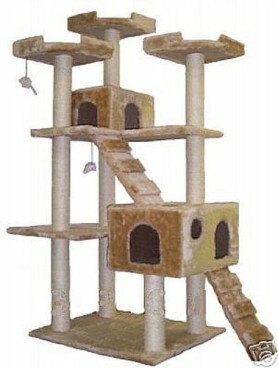 Then there are some cat trees that are available in a combination of carpeted tiers and carpeted scratching posts and perhaps 1 or 2 additional sisal rope posts. The wooden cat trees tend not to have any sisal rope posts whatsoever. They’re just built out of wood and the tiers (or levels) may have a layer of berber carpet attached to it. The berber carpet is tough enough to bear your cats’ scratching and is strong enough to last for years before ever needing to be replaced. 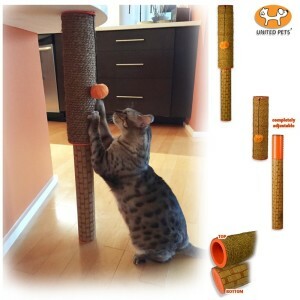 Then you have to consider what are the best cat scratching posts for your little furry one. These are often approximately 2 to 4 feet in height. Some come with horizontal platforms or levels and others are just the single upright sisal rope post. And we’ll post our best cat tree reviews right here so that you can access all the information that you need all in one place. Remember, if your kitty is an indoor cat, you’ll need to provide a safe outlet for him to scratch, exercise and strengthen his muscles on, particularly their front paws. If you don’t provide him with a scratching platform, he will look for suitable alternatives and your soft furnishings are perfect for that! Your beautiful curtains will give him the high vertical spaces he craves, your carpet is wonderful for horizontal scratchers and even better still…your wooden furniture..! And of course is good value for money. If you’re getting a new kitten, it’s always a good idea to plan ahead and provide cat furniture with a variety of levels and textures for him to choose from. Sleep and rest after a hard days’ work! 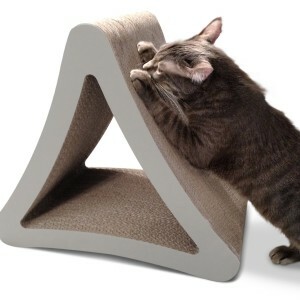 Whether you’ve got yourself a new kitten or had your cat for any number of years and you would simply like to stop your cat from scratching your furniture, Best Cat Tree Reviews will introduce you to a range of cat scratching posts and cat trees that they’ll enjoy launching themselves at. Here on Best Cat Tree Reviews, you’ll be able to discover beautifully designed cat trees with carpeted covered levels, sisal covered posts and cat condos for your kitty to hide in. As a cat owner, you’ll be looking for a particular item of cat furniture, that’s not only right for your cat, but fits perfectly into your home without being too obstrusive. Cats also love to hide in high quiet places…somewhere they think they can’t be seen and a cat climbing tree with a condo on the top level will provide them with this quiet place.